SEATTLE, WA and SANTA CLARA, CA, January 30, 2019 -- Lighter Capital, the leading fintech lender to tech startups, and Silicon Valley Bank (SVB), the bank of the world’s most innovative companies and their investors, have teamed up to better serve early stage tech companies seeking online access to debt capital and banking services. Together, Lighter Capital and SVB will provide entrepreneurs with the financial tools and support they need prior to raising a traditional round of venture funding. Entrepreneurs can access the joint offerings online (https://svb.lightercapital.com/) which utilizes Lighter Capital’s technology. Under the partnership, Lighter Capital will provide debt financing while SVB will support entrepreneurs with commercial banking solutions and guidance based on more than 35 years working with high-growth technology and life science companies. Lighter Capital has developed a fintech lending platform providing early stage startups up to $3 million in a fraction of the time it takes to raise from traditional sources. Lighter Capital’s fintech underwriting platform pulls in 6,500 data points to analyze applicants, using proprietary algorithms to determine a credit rating and data science to predict a startup’s revenue growth with 97% accuracy, on average. By using objective, data-driven practices, Lighter Capital promotes diversity of ideas, perspectives and leaders — ensuring that strong, creative thinkers have access to the resources they need, when they need them. Lighter Capital Revenue-Based Loans, Term Loans and Lines of Credit. 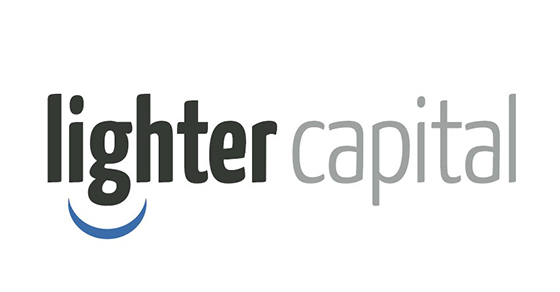 Lighter Capital provides $50,000 to $3 million per company and offers a discounted interest rate with the SVB-Lighter joint offering. Silicon Valley Bank’s StartUp Banking Solution. Everything a young company needs to jump-start its business from day one, including a checking account, business debit card, online banking, several wires each month, unlimited ACH payments, and more. Lighter Capital is a fintech company revolutionizing startup finance by offering a new funding path for early-stage tech companies. We understand that an entrepreneur’s two greatest constraints are time and money, and we’ve developed technology to fund companies quickly and easily. We provide up to $3 million of non-dilutive growth capital in a fraction of the time it takes to raise from traditional sources. Based in Seattle, we’ve provided over 500 financings to 300 companies across the US. More at www.lightercapital.com. For more than 35 years, Silicon Valley Bank (SVB) has helped innovative companies and their investors move bold ideas forward, fast. SVB provides targeted financial services and expertise through its offices in innovation centers around the world. With commercial, international and private banking services, SVB helps address the unique needs of innovators. Learn more at www.svb.com.